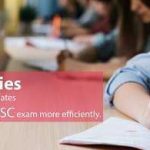 Anybody who aspires to join the Indian Administrative Services is required to have a thorough knowledge of the current affairs for UPSC tests the same at various stages i.e., Prelims, Mains and Interview. However, almost all would agree that the knowledge of current affairs not only plays a major role to enable the candidate crack the UPSC exam, but also helps discharge the duties as a successful administrator later on. What does UPSC actually aim at by testing the knowledge of current affairs? Awareness and the capability to stay alert with a sharp presence of mind: Though UPSC tests the knowledge of current affairs, the test aims not just at making the assessment of the knowledge, but also the awareness and the presence of mind! The candidate must be fully alert to whatever goes on around him. Desire to know whatever goes on irrespective of geographical distance and various walks of life: None of us lives in a jungle and we all know that the society and hence the world at large around us does witness some activity or another taking place almost all the time. So the candidate must stay aware and alert to whatever goes on around him on any platform, be it local, national or international. Similarly, even if a particular subject does not interest him, he must be aware of all the current developments, be it social, political, economical, political, academic or whatsoever! How to gain and update the knowledge of current affairs? Newspapers are by and large considered to be among the best of the ways to gain and continuously update one’s knowledge of current affairs. An IAS aspirant may choose from The Hindu (usually considered to be one of the best ways to gain a strong hold over the current affairs. The Indian Express, and LiveMint may also help. Reading The Economic Times and Business Standard may help to tighten one’s grip over various issues related to economy. What to read and what not to read in the newspapers? There is no point in reading whatever you find published in a newspaper. Reading every piece of news and all the columns might not serve your purpose which is to gain a strong hold over the current affairs and also stay updated (besides do not forget that you have to manage your time with discretion for you have to study for say GS etc., as well). Besides, it is advisable that the IAS aspirants keep a copy of the UPSC syllabus by their side while they still have the newspaper in their hands so that whatever they read in the newspaper does add up to their knowledge of the current affairs as per the requirement to crack the UPSC exam and the entire time stands well utilized. Whenever you read something and ignore to revise it later, the probability to forget whatever you have been studying gets greater. So it only makes more of sense that you not only revise whatever you read in the newspaper or for that matter anywhere say a magazine or yearbook etc., but also underline the significant facts while you read. It will help you revise later. It is advisable to make notes everyday so that you may revise not only conveniently, but as frequently as you may manage the time to do so. Getting a strong hold over the current affairs may make the candidate feel at ease while clearing the Mains, Prelims and also the Interview as described below. The Prelims: UPSC is known to ask various types of questions based on the current issues in the Prelims. They may be fundamental questions (but also asking for the facts) among various other types for there is no dearth of issues that are encompassed by what we call as current affairs. It is advisable to keep making notes of all the current affairs. The Mains: For clearing the mains in the UPSC exam, the aspirant should be well versed with the current affairs. Reading the editorials of The Hindu and The Indian Express may help for the same. It should be noted that while reading the news keeps you aware of whatever goes around currently, the editorials help sharpen the analytical insight, thus widening your perspective so that you are able to understand the causes and consequences of whatever takes place in a better manner. The point to be noted is that the editorials are often penned down by the writers and journalists with a sharp insight into the subject they are writing on, the articles are not only authentic but also help you with a number of points to score well in the Mains. However, it should not be forgotten that it is always advisable to ignore the personal opinions of the writer on any of the issues. Doing so would help you stay unbiased and visualize the entire issue discussed in the editorial with a balanced perspective. And doing so naturally helps in the making of a successful administrator. The Interview: If the candidate keeps updating his knowledge of the current issues, it definitely helps in clearing the Interview as well. Besides, it must not be forgotten that the Interview conducted by the UPSC is the Personality Test, so the candidate should not only be well versed with the knowledge of the current affairs, but also hold a balanced perspective concerning all of the major current affairs because his entire personality is to be assessed in the Interview in order to make sure if he can be a good administrator. How does knowledge of current affairs help in preparing for GK for IAS? Though the IAS aspirants must prepare for the current affairs thoroughly and also stay updated, GK must not be ignored for if both the current affairs as well as GK are prepared well, the probability to crack the UPSC exam gets considerably higher. And no one can deny that a good knowledge of current affairs does help a candidate to tighten his grip over GK as well. First of all, one must not forget that the knowledge of the current affairs does add to your knowledge of GK as well and vice versa. Same is true about your analytical insight into the current affairs as it would equip you with a balanced perspective to a great deal as far as GK is concerned. Besides, what’s more important for you (as you aspire to be an IAS) is that Current Affairs and GK are usually terms that overlap (at least as far as the Prelims is concerned for you aim at cracking the UPSC and join the IAS). No wonder, you are very likely to discover for yourself that most of the subjects and even questions from the current affairs have quite a few aspects of GK embedded in them and the vice versa is also true! Thus maintaining a good hold over both the current affairs as well as GK may help you score better in the Prelims. Besides, it would also make you feel at ease while answering the questions for Mains and facing the Interview. As already stated above, the knowledge of current affairs does help to crack the Prelims, Mains and Interview and when your hold over the subject is coupled with a strong understanding of GK, it is further going to add up to your confidence for it would help you score better and rank higher. Finally, there is no dearth of newspapers, magazines and even books to sharpen your understanding of current affairs. So far, so good! However, do not forget that the knowledge of current affairs, though it would play an important role in materializing your dream of being an IAS, is not the only aspect of the UPSC syllabus. There are bound to be a number of other subjects and topics that are to be prepared as well. So, as already stated earlier, it is advisable to manage your time accordingly. Besides, whatever you read would be washed out of your memory in case you don’t revise. And you would not like that! For it will mean a sheer waste of your time, energy and effort. So it’s best to keep some time in your busy schedule and make frequent revisions of whatever you study.